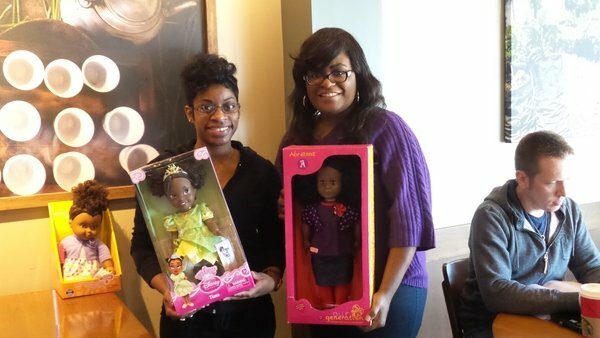 Nichols donates dolls are area youth. Members of the Queenish Professional Women's Club regularly mentor local young women. LANCASTER—The City of Lancaster will seem a little more regal this weekend. The Queenish Professional Women’s Club will hold its annual Crowns and Gowns Gala Saturday in honor of Women’s History Month. In its fourth year now, the event began when Wright-Nichols’ mother died of ovarian cancer. As for Wright-Nichols, she has been a results-driven leader for over 26 years. 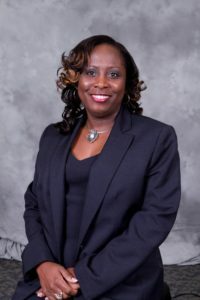 For the past seven year she has been working with Nichols Mobile African American History Museum as a Director of Curriculum Research & Development. Wright-Nichols said the goal for this year’s gala is 150 attendees. Wright-Nichols has garnered some heavy hitters to speak at the event. Featured speakers will include: Lancaster City Manager Opal Mauldin-Robertson; Northwood University Dean Dr. Tara Peters and Kim Harris, Principal/Owner of Kim XI Legacy Enterprise. Topics will include: Women in Government Leadership, Cultural Diversity in the Workplace, Breaking the Glass Ceiling, networking and more. “My desire is that the women will come away from the gala excited about joining QPWC. As well as being empowered to elevate their standards in life and holding themselves accountable,” Wright-Nichols said. The Gala celebrating Women’s History Month will also pay homage to all trailblazing females past and present. QPWC’s event won’t simply feature inspiring dialogue. But the event will also foster the ideals of empowerment through positive self image. “The Crowns & Gowns Women’s Gala will motivate and empower women to reach their highest potential in life by first looking good and feeling great,” Wright-Nichols added. In addition to live music and networking, there will also be a fashion showcase from The Fashion Opera. Designer, Artist and Writer Antonio Wingfield will be the juggernaut behind the Fashion Opera portion of the show. “There is nothing more beautiful, current, fashionable, in, powerful or timeless than the authentic self. The authentic self never goes out of style,” Wingfield said. The Fashion Opera has roots in Wingfield’s love of fashion. He believes fashion has the power to uplift the spirit. While at the same time his studio focuses on understanding fashion’s dynamic existence, its relationship to beauty, perception and image. WHEN: Saturday, March 25, 2017; 4p.m.to 8p.m. WHERE: Lancaster Grand Hall Ballroom, 1700 Veterans Memorial Park, Lancaster, Texas.